There’s a few gardening questions that I get asked all the time. “How to compost, what are pest & disease solutions, what do I plant and how do I build a no-dig garden?” are the main ones. 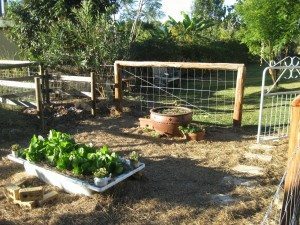 I’ve covered most of these topics in other articles, but haven’t shared my method to building a no-dig garden so I thought I’d share the simple steps that I take to create a garden. There’s many ways to do this, but if you follow a simple system then you can’t go wrong!! 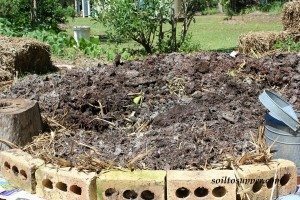 No-dig gardens are made similar to composting, with ingredients placed in layers to decompose and create new soil. This is a natural way of allowing organic ingredients to break down with the help of micro-organisms in the earth. This is a low cost, quick and easy way to create growing spaces!! Are you ready to go??? After finding a suitable location for the garden bed, including having enough sunshine throughout the year, access to water, does it need to be close to the house for quick pickings, etc…I’ll begin the process of building the bed. The great thing about no-dig gardens is that they can be built straight over grass, weeds or poor soil areas. There’s no need to remove the grass or weeds (saves using chemicals!!) and if the grass is long you may want to mow over it without a catcher, sprinkle some blood and bone on the area and soak it all with a good watering. Then cover the area with multiple sheets of wet newspaper or cardboard, making sure there are no gaps. I created my whole kitchen garden using this method called ‘sheet mulching’. Once the grass or weeds are covered then you can place the garden edging over the newspaper or cardboard. Try using bales of cane, hay or straw mulch as they’ll decompose over time to create thick, rich humus to grow in. 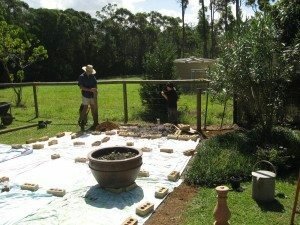 You can also use bricks, pavers, timber logs or a raised garden bed. 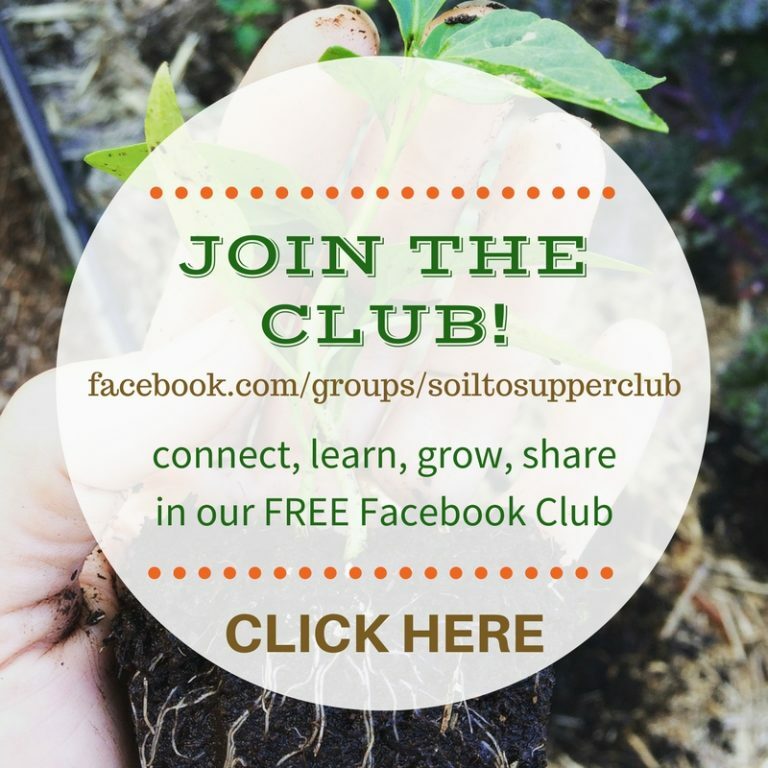 Look around for free resources to use to create a sustainable garden. The next step is to start filling the garden. No-dig gardens are similar to composting, but ingredients go straight into the garden bed. Everything will decompose or break down to create rich humus filled with many beneficial organisms. Here is my suggested no-dig method. These are some of the ingredients I use - compost, mushroom compost, worm castings, brown garden clippings, rotted manures, blood and bone, organic slow release fertiliser pellets, fresh green garden pruning, grass clippings, bale of green lucerne, brown hay or straw mulch, molasses and liquid fertilisers. For a small or low garden you won’t need to use everything listed here. Carbon - brown, dead, old and dry, eg, hay or cane mulch, dry leaves, straw, saw dust, brown grass clippings, compost or mushroom compost. Use more carbon than nitrogen in each layer. Nitrogen - green and fresh, eg, fresh garden clippings, lucerne (green), rotted manures, fresh non-invasive weeds, green grass clippings, blood and bone, Comfrey, Pigeon Pea, Arrowroot and other greens. Follow these steps of layering carbon and nitrogen to fill your garden bed, making each layer about 10cm. Remember to water each layer really well as water helps the ingredients to decompose…If they’re dry they won’t break down!! Top with a layer of mulch. Continue with these layers until the garden bed is full and always finish with a layer of mulch (carbon). 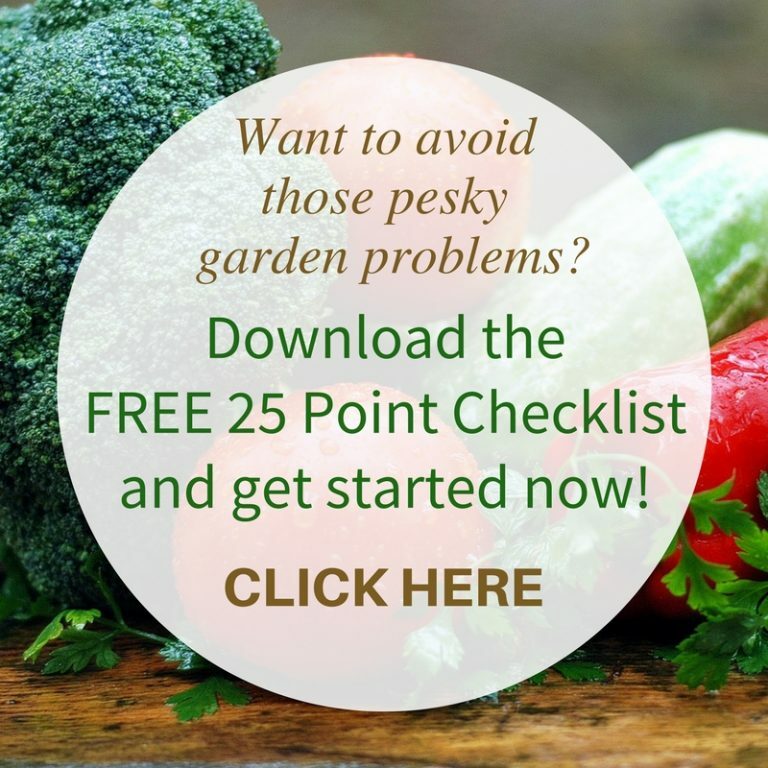 Wait at least 4 weeks before planting into your garden bed as the ingredients will heat up, like a compost heap, which can damage the roots of new plants. 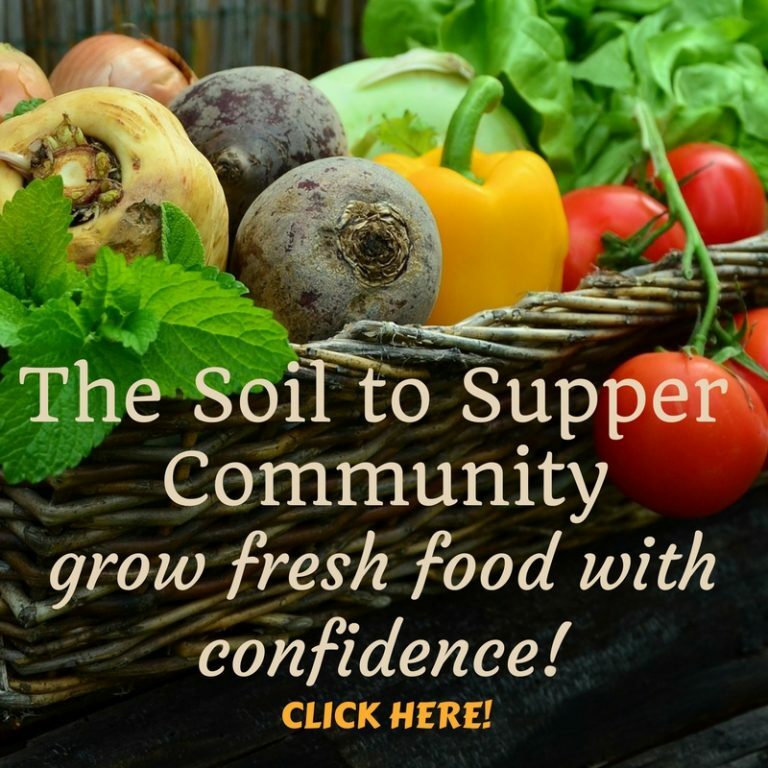 If you want to plant straight away (and you’re keen to get growing!!) 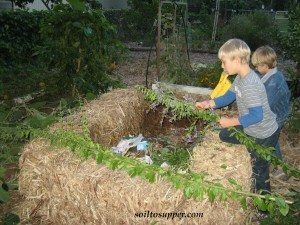 do this in the cooler months and only plant above ground crops, eg salad greens and herbs (no root crops for about 3 months). The soil level of the garden beds will sink down over time, so when you’re replanting the next season crops just top up the gardens beds with a few layers of carbon, nitrogen and compost then you’re ready to replant and re-mulch your gardens. No-dig gardens are a quick and fun way of creating new gardens in no time at all. 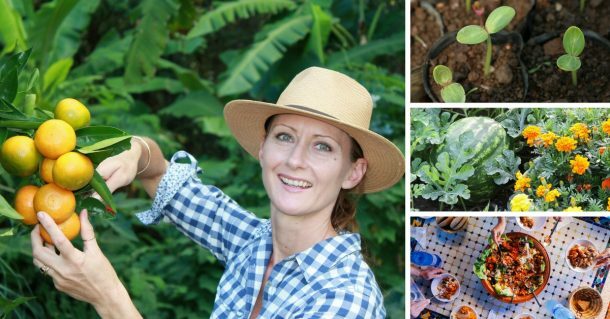 I love this simple method as I can build a garden anytime I’m ready and I usually keep the ingredients on hand for when I get the urge to build a new garden…which is a lot of the time ! !